Continuing the Alphabet Challenge, I’m using words that describe God. I decided on the word Baby for B this time. We rarely associate God with the word Baby with the exception of the Christmas season. Even then, I have difficulty wrapping my mind around the Sovereign, Almighty, Creator reducing Himself to the microscopic form of an embryo, growing in His mother’s womb, and being born as a tiny Baby. Yet, He did that to give us an example of true humbleness of heart. 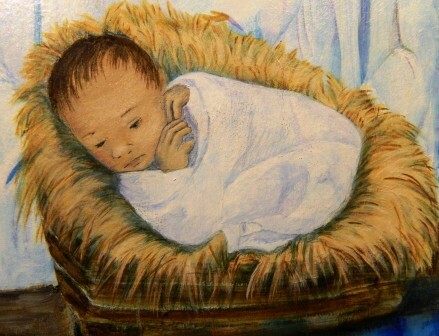 As He gave up all He was and is to be born in human form, we must give up all we are to be born again into His kingdom. All our power, our perception of who we are, and our knowledge of the universe has to be laid aside so that we may become like Him. In doing so, we grow and mature into useful beings to dwell in a home far superior to anything we currently know and understand. We develop a clearer understand of who we are and a truer knowledge of our surroundings. How about you? What are some God references that come to mind using the letter A? Add yours in the comments below.